BOMBSHELL: White House Counsel Don McGahn Has "Cooperated Extensively" With Robert Mueller's Team - Joe.My.God. 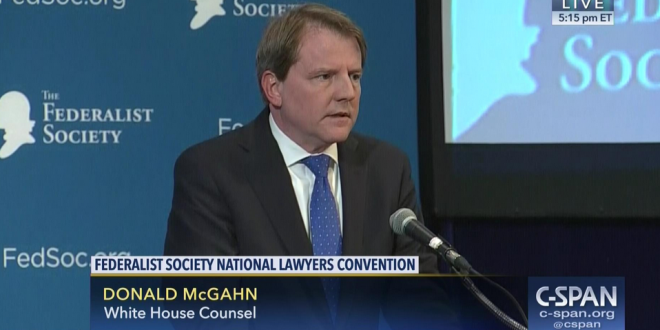 The White House counsel, Donald F. McGahn II, has cooperated extensively in the special counsel investigation, sharing detailed accounts about the episodes at the heart of the inquiry into whether President Trump obstructed justice, including some that investigators would not have learned of otherwise, according to a dozen current and former White House officials and others briefed on the matter. Oh yes, read the full article.